For this manicure, I started by painting my index and pinky nails with two coats of Beyond the Nail – Cabin in the Woods. On my middle finger, I painted on one coat then sponged on another coat of Beyond the Nail – Noisemaker. On my ring finger, I painted two thin coats of Beyond the Nail – Bright White. 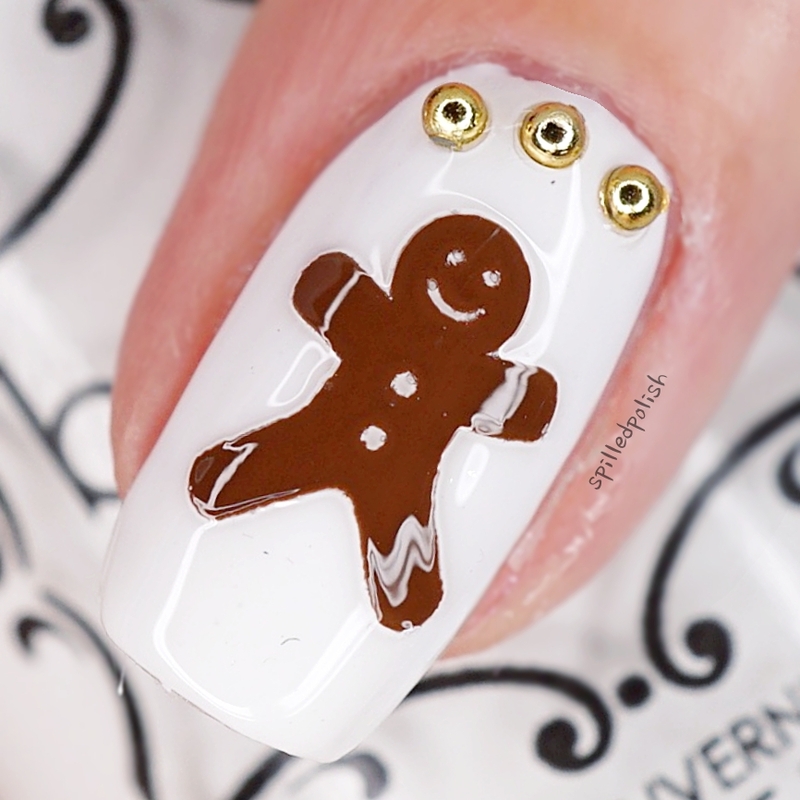 When it was fully dry I placed on a Gingerbread Men Nail Decal. 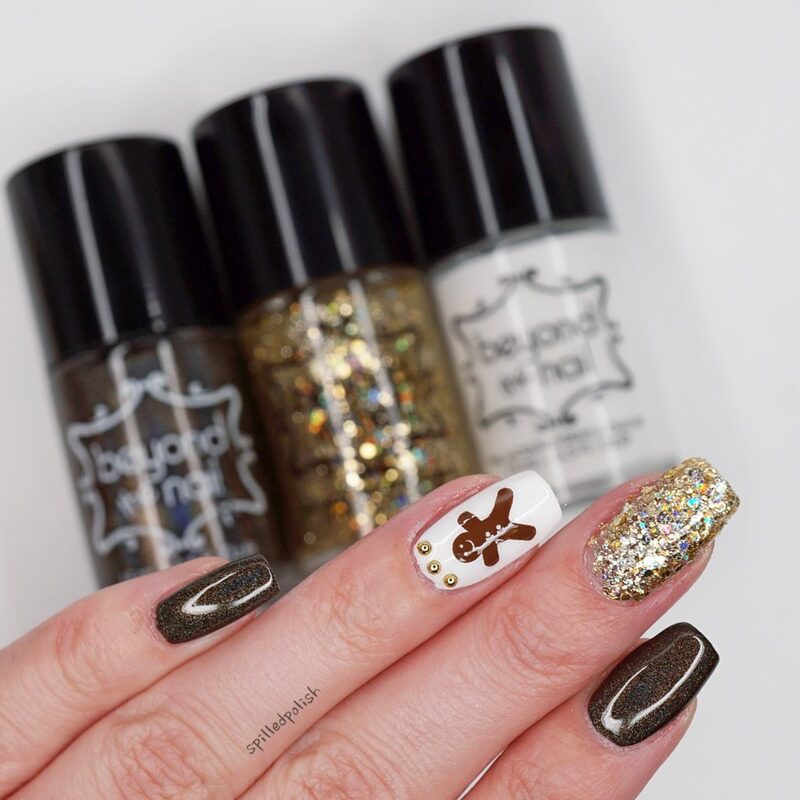 I topped each nail off with one coat of Beyond – Base and Top Coat, and placed on some nail studs to my ring finger from BornPrettyStore. 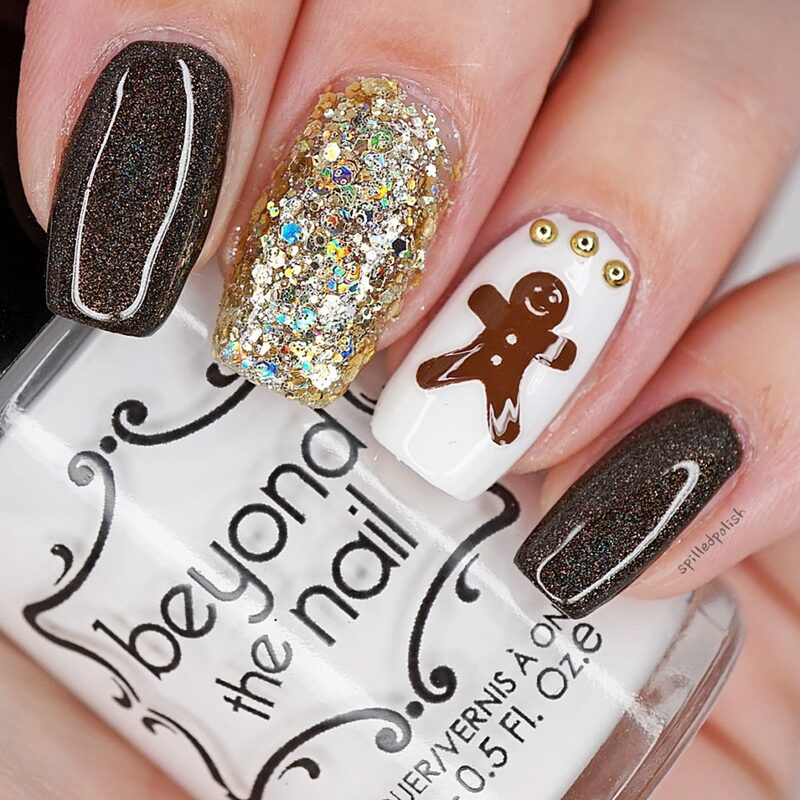 What do you think of the little gingerbread men nails? ?